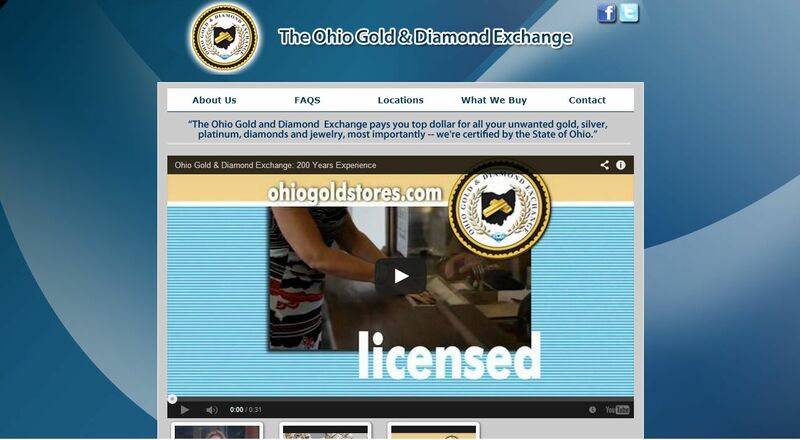 The Ohio Gold & Diamond Exchange address, phone, website, and more. The Ohio Gold & Diamond Exchange is committed to providing each and every one of our customers with a professional, safe and rewarding way to sell their gold jewelry, diamonds and other precious metals for cash. When you’re in the market to sell your gold jewelry and other precious metals or diamonds, you need to deal with a company that is knowledgeable, offers friendly service, pays top dollar, offers convenience and no obligation appraisals. The Ohio Gold & Diamond Exchange, certified and licensed by the state of Ohio, has been a trusted name for years and is ready to serve you. The Ohio Gold & Diamond Exchange has been offering professional, courteous service for years. Our knowledgeable staff knows the precious metals industry, which means you’ll receive top dollar for your valuables. We’re here to help explain the entire process and make sure you’re comfortable and highly satisfied with your transaction.